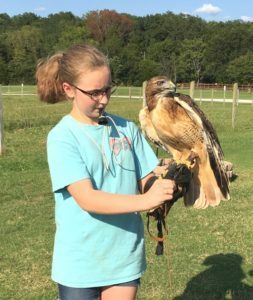 Morgan, just 13 years old, was born with a passion for animals but her obsession went wild, literally and figuratively, when Maximus visited with her home school group during her third grade year. 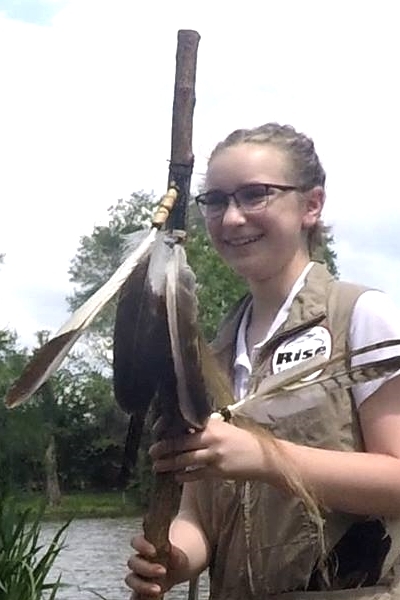 She has been working as ability and training allow with Rise but has dreams of becoming a falconer and also of pursuing an education toward being licensed as a wildlife rehabilitator. She is also actively involved in American Heritage Girls and in the Civil Air Patrol.